Choosing the right auto collision repair partner after your car has been in an accident is critical, but your options don't stop at picking the best repair shop for you. Different insurance companies and auto body shops take different approaches when it comes to auto collision repair. At CARSTAR #15197 in Dalton, GA, we believe in thoroughness and we take a comprehensive path to repairing your car, from vehicle disassembly in search for additional damage, to liaising with your insurance in order to make sure you're getting the best repair plan. You also have options when it comes to the repairs available for your car and type of damage. Our expert technicians will create a detailed repair plan for you to approve beforehand and will keep you updated along the way with any new developments or status updates. At CARSTAR, you'll find more than auto collision repair services. We take the same comprehensive approach even if your vehicle has not been involved in an accident. If all your car suffered from are minor dents and dings, we provide Paintless Dent Repairs, a great way to freshen up the look of your vehicle without a major investment. We also offer Fleet Services that handle any size or type of fleet while keeping your costs low. 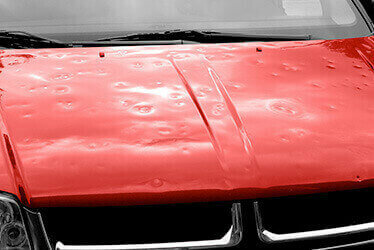 When nasty storms strike, you'll find Hail Damage Repairs at CARSTAR #15197 in Dalton, GA as well, so you can get back on the road as soon as possible. Contact us today to learn more about the range of services offered near you.